Reading back over some of the posts that have been shared, I realized many of the links are not as main stream as I believe they should be. So I poured through what has become a library of links and selected the most useful, evergreen pieces. I sincerely recommend reading everything on this list, and it’s a long one, so take it a section at a time – and bookmark it for later. I promise you will come out a better marketer if you make it all the way through. 3.8 What’s Your Landing Page’s Unique Ranking Proposition? 3.24 Fixing 5 Common SEO Problems with HTML5… Today! 3.35 Can The SEO Industry Embrace Long-Form Content? 9.2 What are landing page elements that contribute to increased conversions? 10.5 Should you work for free? 12.3 Are You Following PPC Best Practices? 14.3 Are Your Titles Irresistibly Click Worthy & Viral?! 14.16 Could Algorithms Replace Writers? 14.18 What’s all the fuss about tone of voice? 15.1 Finally! A complete list of every (important) social network’s image dimensions! 15.9 HOW FOLLOWABLE ARE YOU ON TWITTER? Most evergreen content isn’t really evergreen, at least not in our technology-related vertical. In dynamic verticals that change on an almost daily basis (search, social, design, ad tech, etc.) it’s difficult for content to stay perpetually useful, unless it is maintained and cared for. Sometimes big changes can make an entire marketing channel obsolete overnight. So for this list I will be using my own, slightly modified, definition of evergreen content. Provides relevant information or a perspective that will remain useful for a minimum of 2 years. Comprehensively covers a topic or process that is unlikely to change. Aggregates disparate information to be more accessible to a larger audience. Click on any of the buttons below to jump ahead to a specific section, you can then use the Back to Top link at the bottom of each section to get back to these buttons easily. What’s Your Landing Page’s Unique Ranking Proposition? Fixing 5 Common SEO Problems with HTML5… Today! Can The SEO Industry Embrace Long-Form Content? What are landing page elements that contribute to increased conversions? Are You Following PPC Best Practices? Are Your Titles Irresistibly Click Worthy & Viral?! What’s all the fuss about tone of voice? Finally! A complete list of every (important) social network’s image dimensions! HOW FOLLOWABLE ARE YOU ON TWITTER? This post is an important piece of the puzzle that Kristina Halvorson inspired me to build regarding SEO content writing checklist. This post is going to remain a living document, so please share your favorite evergreen content link in the comments below so I can add them. Thanks! Need help creating evergreen content on your site? 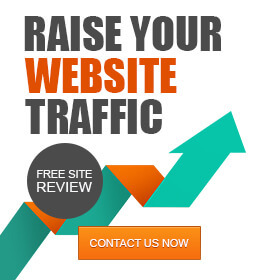 Ask one of our SEO consultants now!